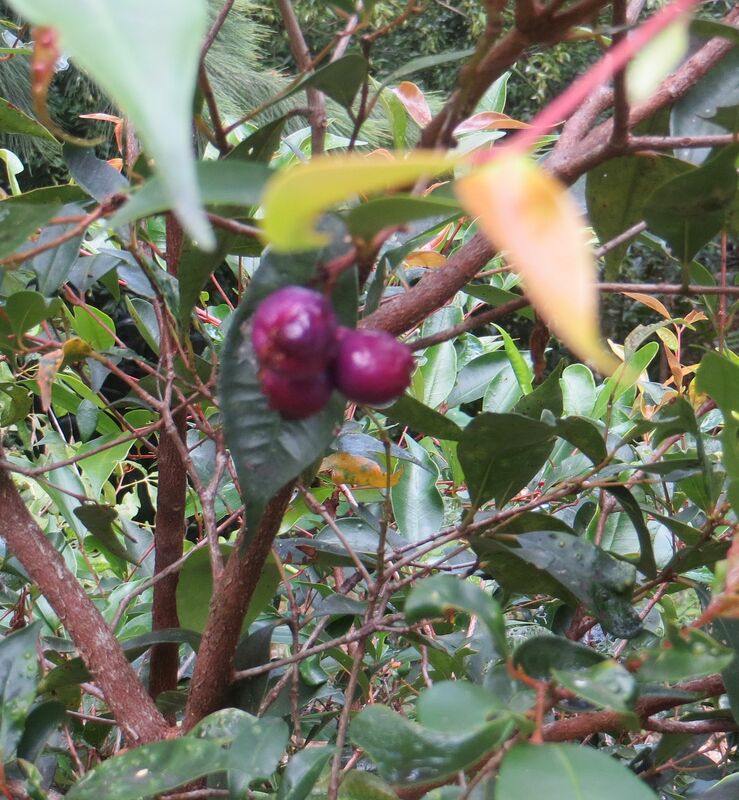 The Blue Lilly Pilly (Syzygium oleosum) is an Australian rainforest shrub or small tree that comes as close as possible to being the ideal garden plant. It’s tough, it’s well-behaved, it has pretty flowers and fruit and it can be used as a hedge or feature plant. And the wild birds love it! 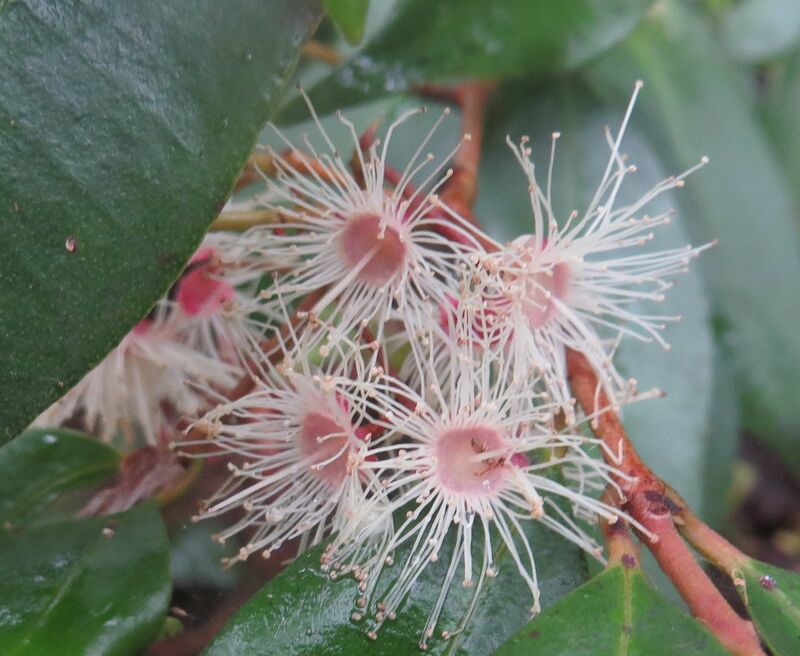 Honeyeaters, fruit eaters and insect eaters will all visit your garden if you’ve one of these useful shrubs/small trees growing there. I have one of these in my garden, right in front of a large picture window, and I spend happy hours lying back in my reclining chair watching all the birdlife that comes in for a snack. I planted it right by a large pond where it can be reflected in the water – along with other rainforest plants and a few exotics. The Blue Lilly Pilly is one of those plants that even the most inept and disinterested householder can grow. And gardening doesn’t have to be an overbearing chore – just have a look at some of my GardenEzi gardening books and you’ll see what I mean. All are written with the Brown Thumb Brigade in mind – you don’t have to be a great gardener to have a great garden! So if you want to know more about easy gardening, click on the My Books tab for details. The gardening books are all downloadable and cheap as chips – packaged handily so you don’t have to go trawling through the internet for hours, trying to get good gardening information. For those who love a good romp through Norse legend, this is Wagner’s Ring Cycle as you’ve never seen it before! Click on the My Books tab for details. 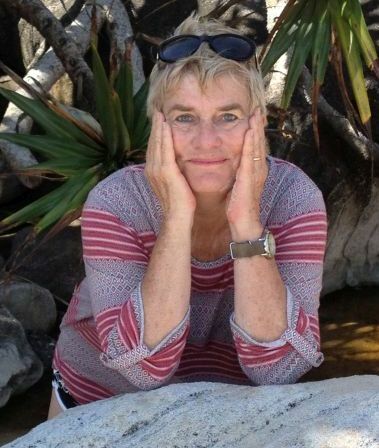 I’m Julie Lake, known to my family and childhood friends as Jill, horticulturist, gardening writer and founder of the GardenEzi program which aims to take the mystique and hard work out of gardening, so that everyone who wants a great garden can do so without too much time and effort. And, for those who love Africa, there is my bio-fiction novel A Garden in Africa which has the creation of a great garden at its heart but also love, tragedy, wild animals and a slice of history that is fast becoming forgotten. New books will become available on a regular basis. Why buy gardening books today when there is so much information available on the internet? Well, much of that information is unreliable and fragmented. With a book you get everything you need to know in one package – no need to spend hours hunting for bits and pieces of gardening info amidst all the mass that’s out there – much of it contradictory and confusing. My gardening knowledge is not just based on my qualifications, it’s based on years of practical experience in the many gardens which I’ve created for myself and others. I love to share that knowledge with readers, especially those new to gardening who don’t know where to start. So read about the books, follow the links if you want to buy them and feel free to contact me via this site or at jrlakemedia@gmail.com. You’ll also find plenty of good, up-to-date gardening advice on the GardenEzi news page/blog – some other bits and pieces too. Hello and good afternoon. I have just been online seeking help with my mother’s King Orchid which I have inherited since her passing in 2008 and noticed your website. I would very much like you help in caring for my Mum’s Dendrobium Speciosum Orchid if you don’t mind. I have noticed this year and last year that the orchid had lots of new buds appearing however these buds failed to mature into blossoms. Could you please advise me on what to do to help it flourish like it was at Mum’s. I must say also that it’s initial home was in the fork of a very old Frangipani tree in her backyard whereas here, my husband and I replanted it into a pot. Initially it had masses of flowers but this year and last year, we’re lucky if we get any blossoms at all. It is nestled under a Golden Cane palm and gets plenty of light. Hello Sue – I’ve sent you a personal reply and am now about to put up an article on these lovely orchids. the cosmos. Popular materials include from concrete, asphalt, pavers, brick, and natural stone.